H318 - Causes serious eye damage. H413 - May cause long lasting harmful effects to aquatic life. P260: Do not breathe dust/fume/gas/mist/vapors/spray. P264 - Wash hands thoroughly after handling. 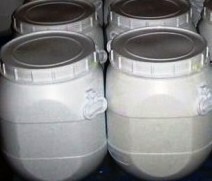 P406: Store in corrosive resistant/ container with a resistant inner liner. After inhalation: Move victim to fresh air. In case of respiratory difficulties seek medical attention. In case of skin contact: After contact with skin, wash immediately with plenty of water. Change contaminated clothing. In case of skin reactions, consult a physician. After eye contact: Immediately flush eyes with plenty of flowing water for 10 to 15 minutes holding eyelids apart. Remove contact lenses. Subsequently seek the immediate attention of an ophthalmologist. After swallowing: Rinse mouth and drink large quantities of water. Consult physician. Fire and explosion hazard: Slight fire hazard. Dust/air mixtures may ignite or explode. Extinguishing media: Regular dry chemical, carbon dioxide, water, and regular foam. Fire fighting: Move container from fire area if it can be done without risk. Cool containers with water spray until well after the fire is out. Stay away from the ends of tanks. Use extinguishing agents appropriate for surrounding fire. Do not get water directly on material. Large fires: Flood with fine water spray. Reduce vapors with water spray. Cool containers with water spray until well after the fire is out. Apply water from a protected location or from a safe distance. Avoid inhalation of material or combustion by-products. Stay upwind and keep out of low areas. Occupational spills: Do not touch spilled material. Stop leak if possible without personal risk. Small spills: Absorb with sand or other non-combustible material. Collect spilled material in appropriate container for disposal. Small dry spills: Move containers away from spill to a safe area. Large spills: Dike for later disposal. Keep unnecessary people away, isolate hazard area and deny entry. Handling: Handle in accordance with good industrial hygiene and safety practices. These practices include avoiding unnecessary exposure and removal of material from eyes, skin and clothing. 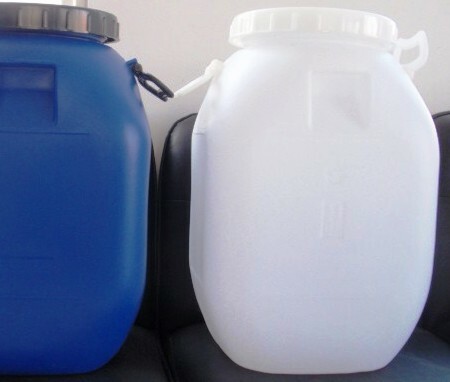 Emptied containers retain vapor and product residue. Observe all recommended safety precautions until container is cleaned, reconditioned or destroyed. 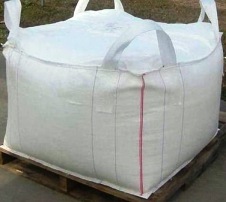 The reuse of this material's container for non industrial purposes is prohibited and any reuse must be in consideration of the data provided in this material safety data sheet. Storage: Store in cool, dry, well ventilated area. 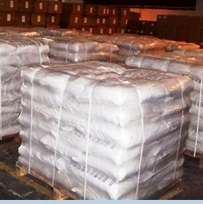 Product is stable under normal conditions of handling and storage. Emptied containers retain vapor and product residue. Observe all recommended safety precautions until container is cleaned, reconditioned, or destroyed. The reuse of this material’s container for non-industrial purposes is prohibited and any reuse must be in consideration of the data provided in this material safety data sheet. Suitable materials of construction: Glass lining, PVC, polypropylene, glass reinforced plastic, and polyethylene. Unsuitable materials of construction: Mild steel, carbon steel, aluminum, and other metals. Ventilation: Provide local exhaust ventilation system. Ventilation equipment should be explosion-resistant if explosive concentrations of material are present. Ensure compliance with applicable exposure limits. Eye protection: Wear splash resistant safety goggles. Provide an emergency eye wash fountain and quick drench shower in the immediate work area. Clothing: Wear appropriate chemical resistant clothing. Respirator: Under conditions of frequent use or heavy exposure, respiratory protection may be needed. Respiratory protection is ranked in order from minimum to maximum. Consider warning properties before use. Any dust, mist and fume respirator. Any air-purifying respirator with a high-efficiency particulate filter. Any powered, air purifying respirator with a dust, mist and fume filter. Any powered, air-purifying respirator with a high-efficiency particulate filter. For unknown concentrations or immediately dangerous to life or health – Any supplied-air respirator with full face-piece and operated in a pressure-demand or other positive-pressure mode in combination with a separate escape supply. Any self-contained breathing apparatus with a full face-piece. LC50, Inhalation, Mouse, 1108. PPM, 1 H.
TCLo, Inhalation, Rat, 685.0 UG/M3, 24 D.
Acute toxicity, LCLO, Inhalation, Human, 1300. PPM, 30 M.
Acute toxicity, LDLO, Route of Application: Unreported., Human, 81.00 MG/KG. Eyes, Species: Rabbit, 5.000 MG, 30 S.
Not listed on California Prop 65, CWA NPDES, Canadian NDSL, Mexico INSQ. H290 = May be corrosive to metals. H314 = Causes severe skin burns and eye damage. H318 = Causes serious eye damage. H413 = May cause long lasting harmful effects to aquatic life. R37/38 = Irritating to respiratory system and skin. R38 = Irritating to skin. R41 = Risk of serious damage to eyes.